Firstly, a huge thank you to Diane, Colin and their children for inviting me into their home and making me so welcome. 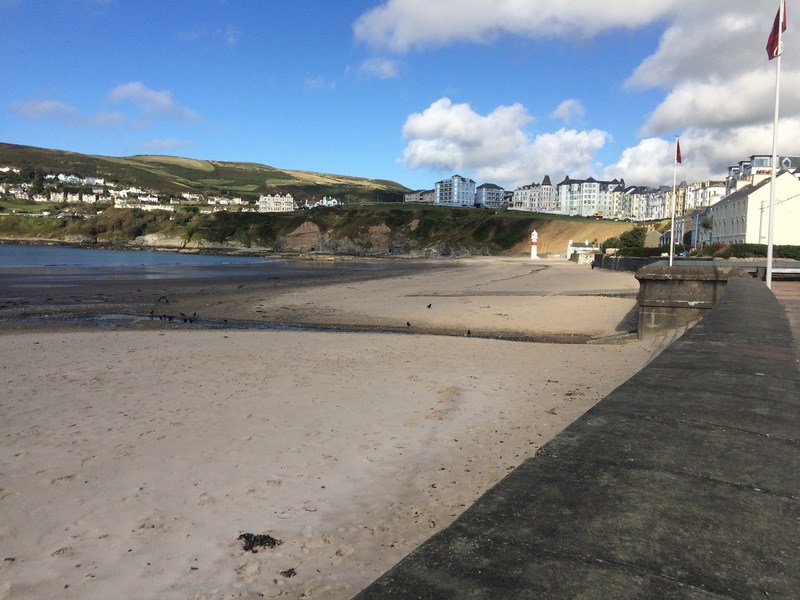 Colin did a great job of guiding me around the Isle of Man and I had a fantastic 4 days of sightseeing, made even better by unexpected sunny weather most of the time. 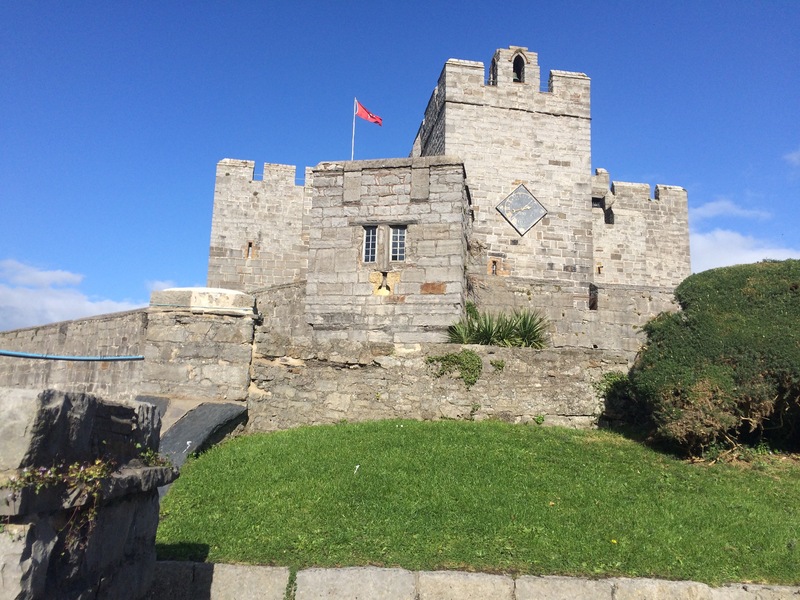 I visited the towns of Douglas, Castletown, Port Erin and St John’s, and the City of Peel. 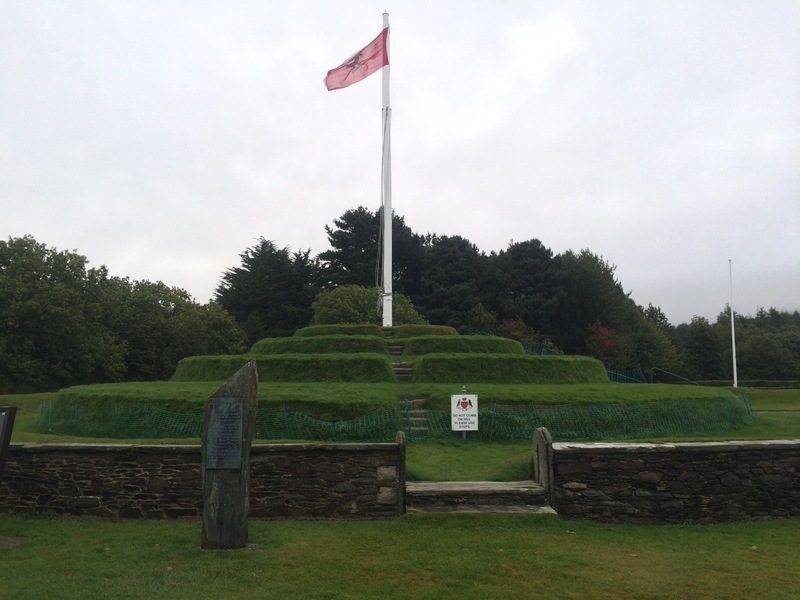 I saw Tynwald Hill at St John’s, where the oldest continuous parliament in the world annually announces its laws to the people. 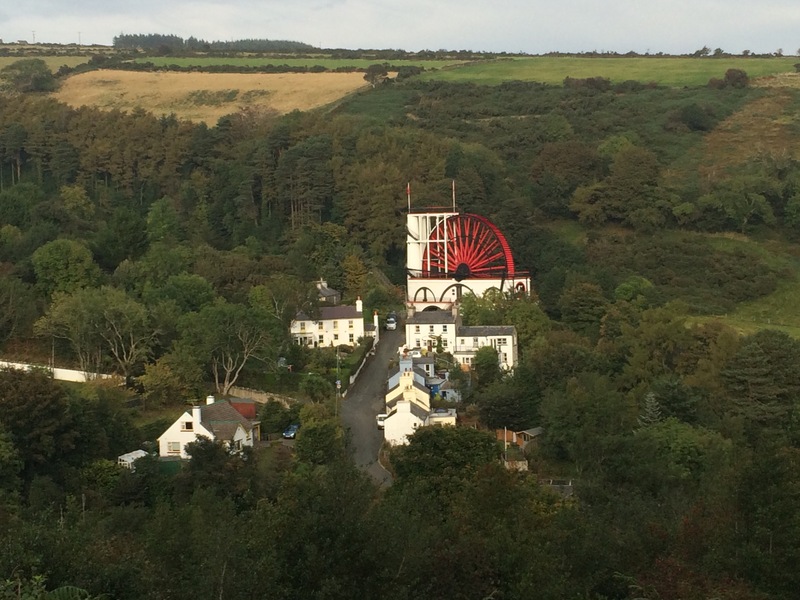 I caught the train to Laxey (saw the huge waterwheel named Isabella) and then up Mann’s mountain railway to the top of Snaefell. 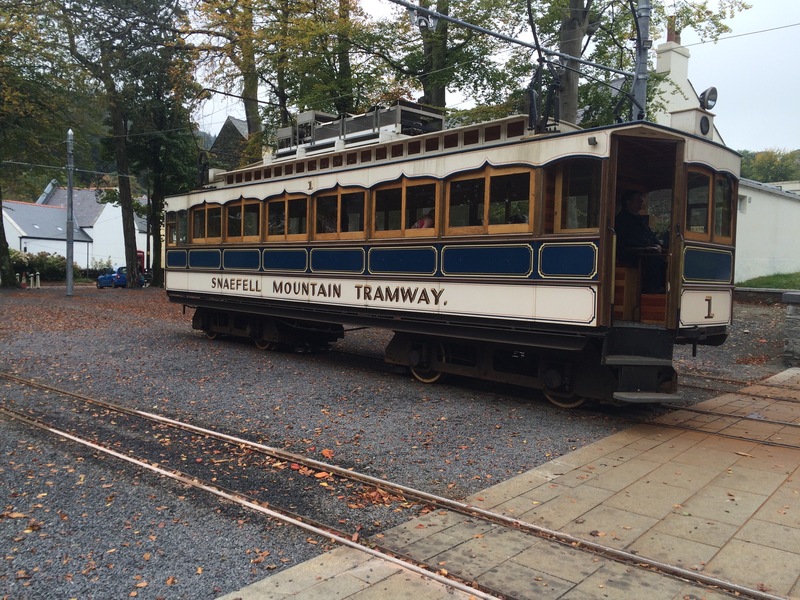 I travelled up a mountain in this, and the driver let me have a go at winding the brakes on during the descent – hard work! 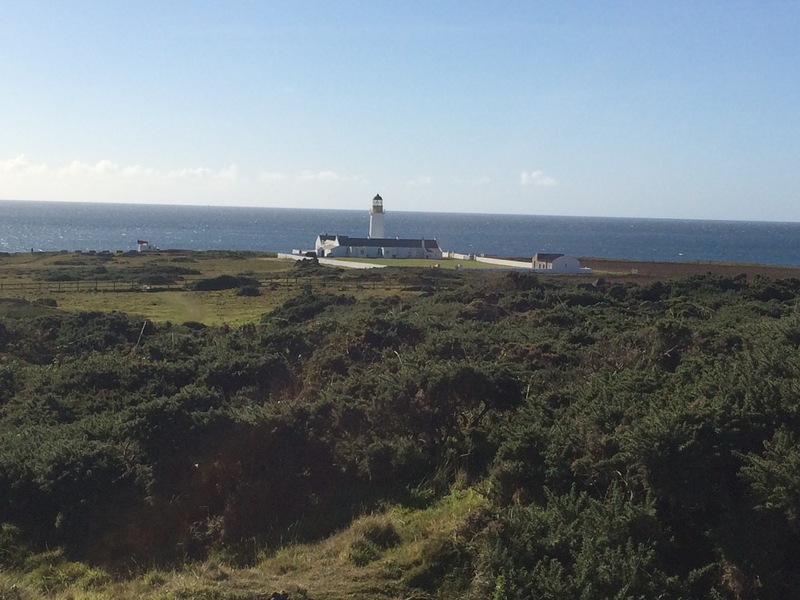 I walked bits of the coast, particularly out to Langness Point and to the Chasms (huge splits in the rock at the South of the island). 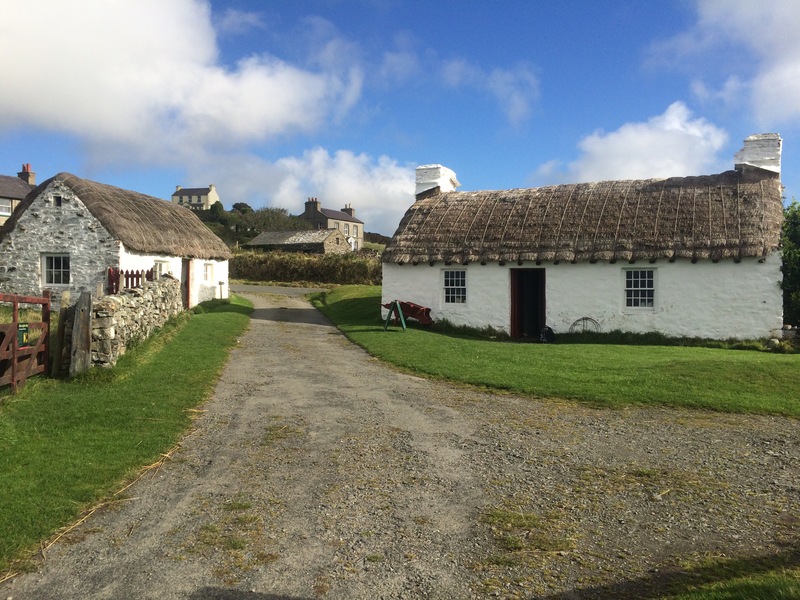 I visited Cregneash Village (a crofting community maintained as it would have been in the 19th Century), Rushen Castle (one of the best-preserved medieval castles in Europe) and Mull Hill Neolithic burial site. 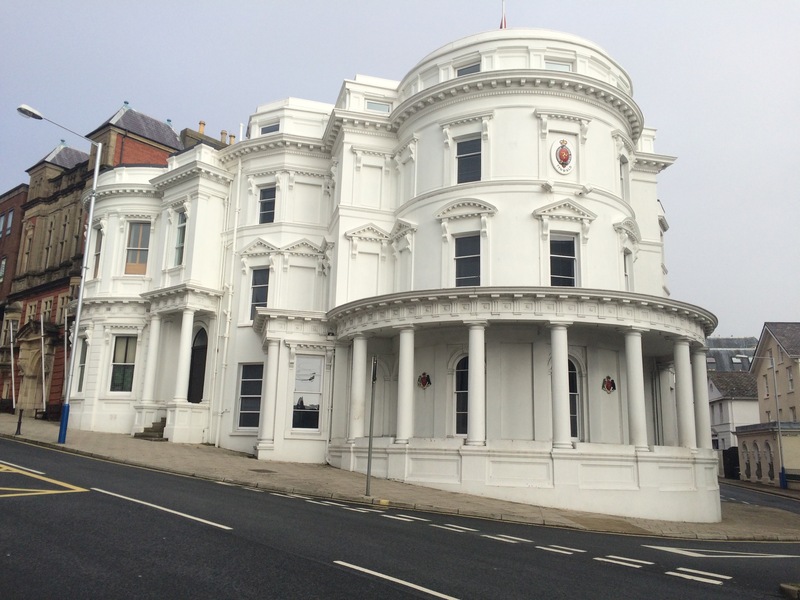 I visited the Manannan and Manx museums to learn about the history of Mann. 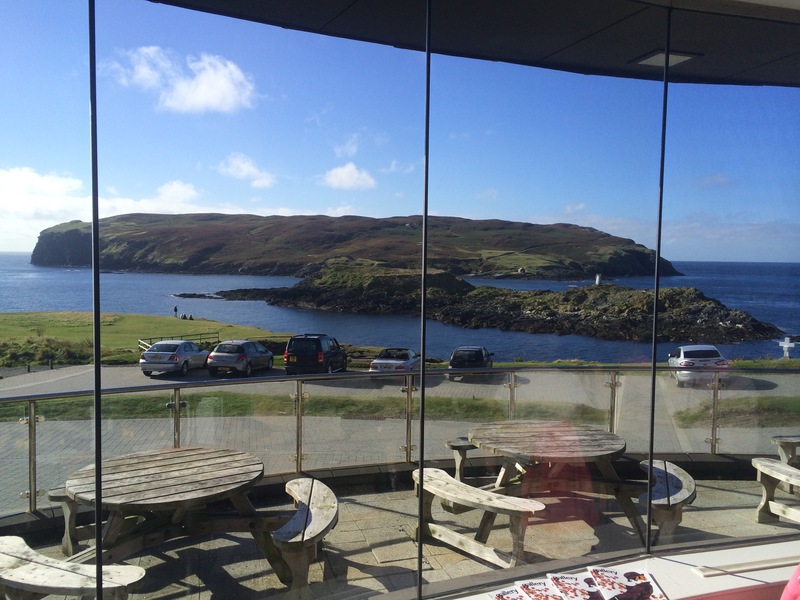 I sat in the cafe at Calf Sound and stared at the Calf of Man. 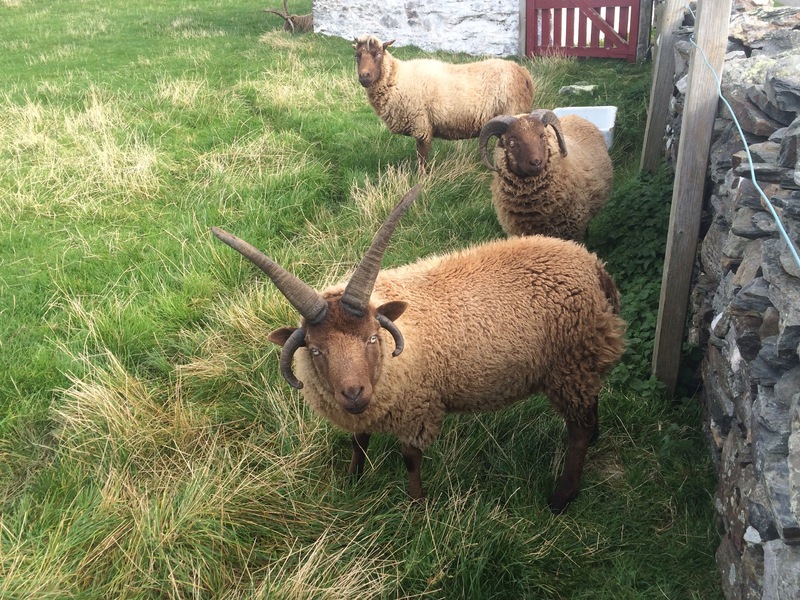 I ate Manx kippers, Manx cheese, Manx honey, Manx Queenies and drank the local Okells beer. Amazingly, amongst all of that activity I managed to chill out a bit, enjoy the company of my hosts and deliver a hockey training session to the Buchan School under 12 girls. 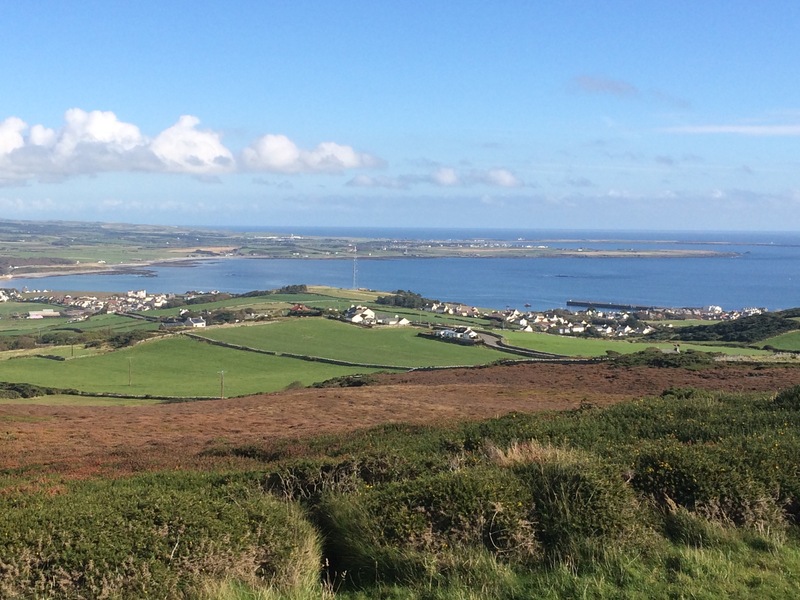 The Isle of Man is a fantastic place; a small island with a big mentality (a bit like the UK then!). 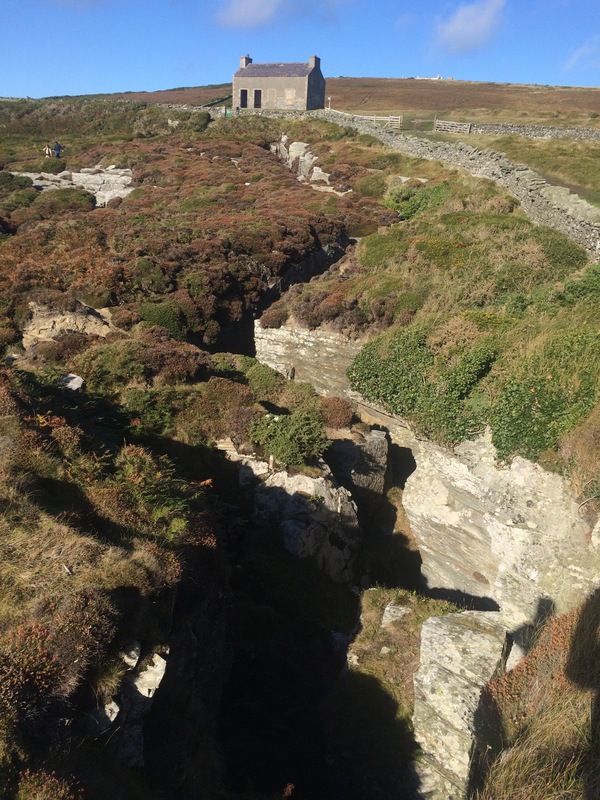 It seems to me that it is most influenced by its Viking history, when it was at the centre of the Viking world. 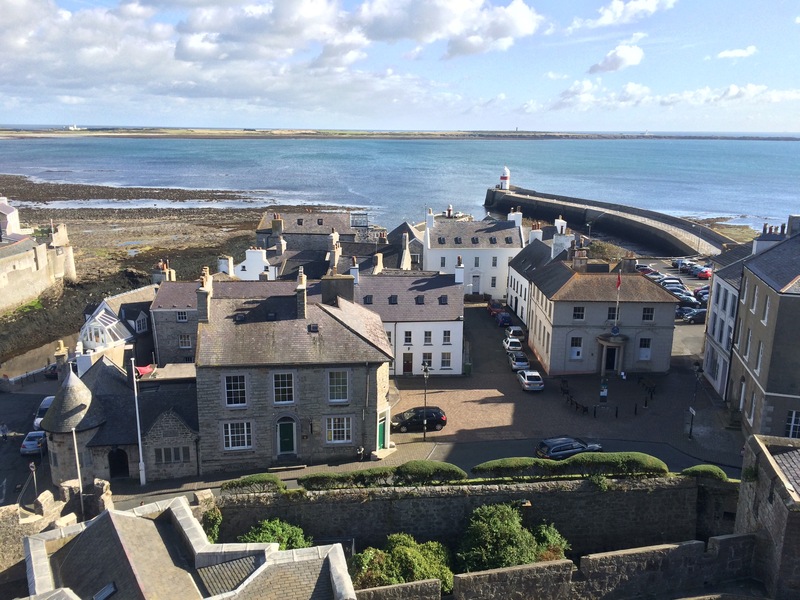 In the 11-13th Century the King of Mann and the Isles (most of the Western Isles if Scotland) was a very influential ruler. Modern Mann seems quite wealthy – more big houses and SUVs than I’ve seen anywhere else – but then it does have a very low tax rate. 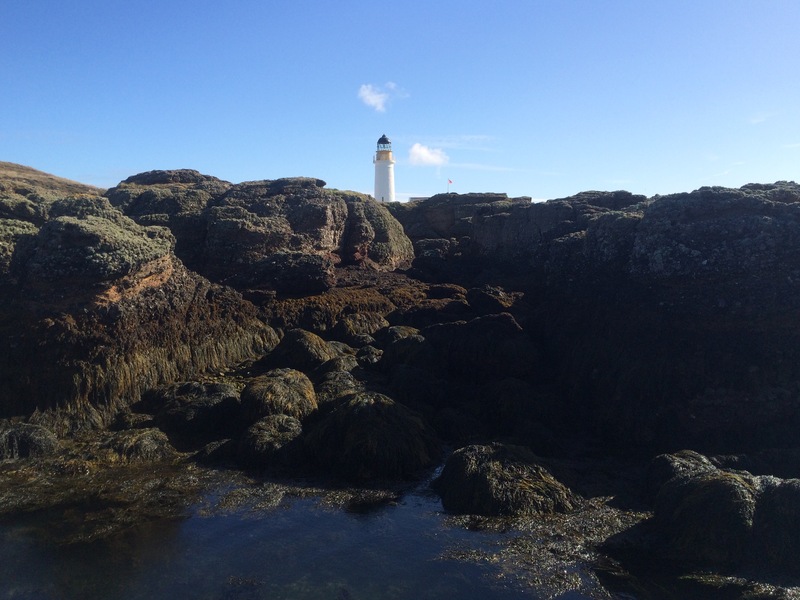 The main thing is, when Diane drove me to the ferry on Friday morning, I remembered to say goodbye to the fairies as we drove over the fairy bridge. Hopefully this means I’ll stay safe and be allowed back again!